Highlights of the Sky Bet Championship match between Blackburn and QPR. 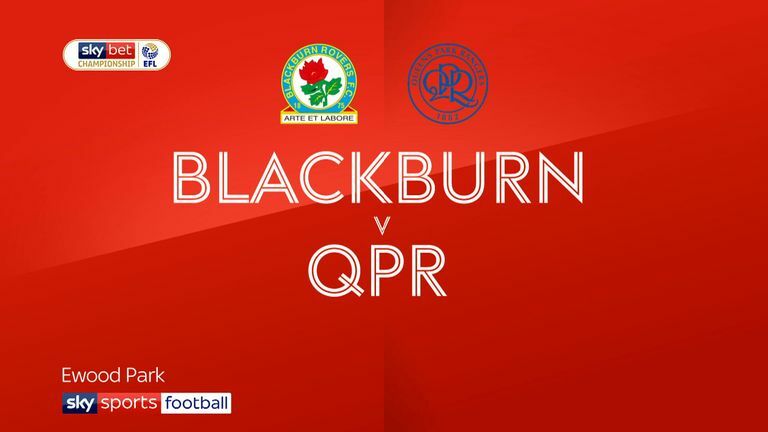 Bradley Dack marked his 50th league start for Blackburn by scoring a late penalty to give Rovers a 1-0 win over QPR in the Sky Bet Championship. The game looked to be heading for a draw after a dour encounter which saw little in the way of chances, other than a first-minute effort by Danny Graham. But Blackburn's talisman was handed a late chance from the penalty spot after substitute Ben Brereton was brought down. He made no mistake, slotting in his ninth of the season, which lifted Rovers above their visitors and to eighth in the table. The result also ended the Hoops' three-match winning streak, against an opponent they have not beaten in 14 attempts. Tony Mowbray gave goalkeeper Jayson Leutwiler his first start of the season, in place of David Raya, who is recovering from a broken nose - one of six changes. Nahki Wells and Josh Scowen were recalled for injured duo Tomer Hemed and Geoff Cameron for QPR. Rovers almost made a flying start when the ball found its way to Graham in the area, but Joe Lumley spread himself well to block the placed effort. Wells curled a free-kick over the crossbar in a first half that was almost devoid of chances. The hosts were responsible for most of the first-half pressure, but a Luke Freeman snapshot from 25 yards almost caught them cold. The ball sailed wide, however, with Leutwiler a spectator. Blackburn had the final chance of the half in injury time when the ball fell kindly to Graham, who raced through on the left, but could only skew his shot wide. The visitors were on the defensive once again at the start of the second period, with both Dack and Harrison Reed seeing goalbound shots heroically blocked. 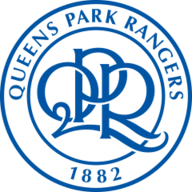 QPR's best chance of the game arrived in the 69th minute in freak circumstances, as Darragh Lenihan's headed clearance hit his team-mate Derrick Williams, before drifting inches wide with Leutwiler well beaten. The visitors looked to kick on as the game wore on and Wells saw a ferocious effort blocked after a well-worked corner. Eberechi Eze was next to come close after being set up by Pawel Wszolek, but he blazed over from close range. But Rovers were handed a chance to take the spoils when Brereton's powerful run into the box was halted by Scowen's foul. 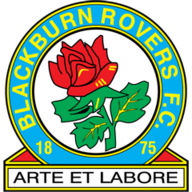 Dack stepped up three minutes from time to send the goalkeeper the wrong way, placing his shot to the right and with it, giving Blackburn the three points. Tony Mowbray: "It was an ugly game, a horrible game really. There wasn't much quality on the pitch and yet the referee kept stopping the game, slowing it down. "It looked 0-0 all the way. We were trying to make attacking changes at the end and it ultimately paid off for us at the end." Steve McClaren: "It had 0-0 written all over it. I didn't think either side looked like scoring. I thought, after the first 10 minutes, the team defended magnificently. We were never going to concede. I couldn't see it, and we just needed to produce a bit of quality going forward to win the game. "We didn't; our final ball and cross wasn't good enough but we didn't deserve to lose. I've seen the penalty again. It's not a penalty, and the one that's got to give it is the linesman who is 15 yards away. I thought it was a poor decision."